This is the original L’Avenir Cellutone cream. We have rebranded it under our HealFast Skincare line of products. 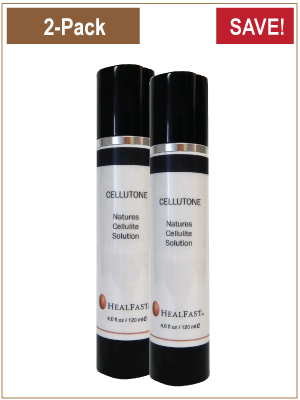 Cellutone is the only cellulite-reducing product on the market today that actually provides long-lasting results naturally, without using drugs or ingredients such as caffeine or aminophyline. It is important to understand that caffeine is used in other products for its dehydrating qualities. It removes water from the skin adn fat cells. But discontinued use of these products results in the rapid return of cellulite which is why many celllulite reducing products have a reputation for being ineffective.